We often chose books which were not available in the limited local bookshops here in Accra. Alternatives were: borrowing from a friend/colleague/fellow reader, buying books when travelling or relying on someone who could actually buy books outside and have them shipped to Ghana. I know that I have used all these alternatives in the past, but for some of us, regular travel of say more than twice a year, was not part of our lives. Nor did some of us have regular access to regular, straightforward shipments from outside Ghana. But on the whole we did manage. At least one bookshop I know – Vidya Bookstore – has ordered books which the Accra Book Club recommended – but delivery times were not as speedy as some would wish, plus prices were not “cheap”. Buying books personally from a site such as Amazon is not difficult, but the freight for delivery to Ghana, even from the UK, is huge, almost doubling the price of whatever you try and buy. And woe betide you if you tried ordering books from Amazon.com and having them shipped here; at least one order took ten weeks, despite there being regular transatlantic flights and daily flights to Ghana from Europe! Needless to say I was not pleased. But how things have changed, even here in Ghana! At the last gathering of Accra Book Club, every one present either had an e-reader with them, or at home. One had been a very early adopter, and even mentioned that she had ordered a Kindle Fire! But others had probably bought them, or been given them, during the last few months. And most probably because it is an international group, all had Kindles – as opposed to Nooks, or iPads or other tablets. I suspect also that many were just the ordinary wifi versions, even though most of us did not download books in Ghana through wifi, but rather through laptops or pcs. For those used to simply clicking on a book and having it download automatically to one’s device, having to ad the transfer from laptop may seem to be a burden. But I am sure that for many of us who have “suffered” because we couldn’t find enough books to read here, having a Kindle and being able to download more or less whatever one wants to buy with a few clicks – and admittedly an internet connection – is absolutely wonderful. It is true that the environment does have an impact: you do have to have a credit card to buy from Amazon (which is probably a big issue for most Ghanaians), you do have to have an internet connection (becoming less of an issue with the proliferation of mobile internet access) but with these even those of us based here could access what Amazon has to offer. And that is a big change. 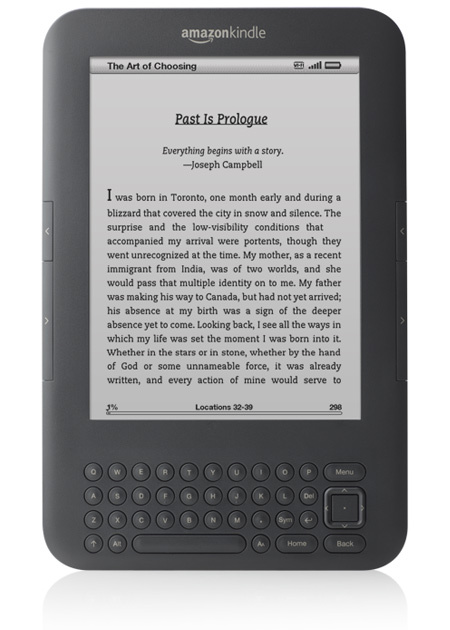 Now when we make selections, usually the problem is with items that are not on Kindles. Otherwise we just go ahead.